According to the Food Allergy and Anaphylaxis Network, about 7 million Americans have a fish allergy, with tuna, halibut and salmon being the most allergenic fish. If you're allergic to salmon, you will need to remain under a doctor's care to prevent further complications. MayoClinic.com states that the most common rashes associated with a food allergy include hives, itchiness and eczema. 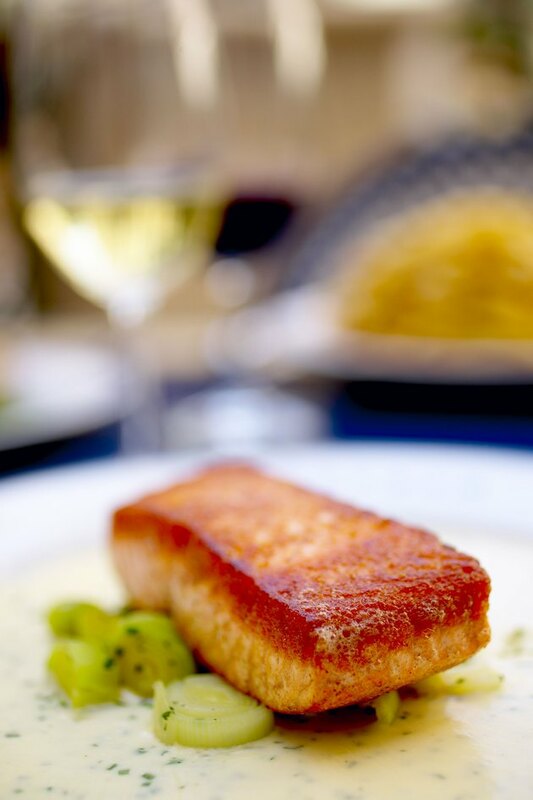 If you're allergic to salmon, you may or may not develop an allergic reaction from other species of fish, according to the Asthma and Allergy Foundation of America. After eating salmon, immune system cells identify the proteins found in the flesh of the salmon as dangerous. This mistake causes the body to defend itself by creating immunoglobulin E antibodies and histamine, according to MayoClinic.com. Antibodies attack the salmon proteins while histamine protects soft tissues from infection. The excessive amount of histamine created leads to inflammation throughout the body. Hives is the most common rash associated with an allergic reaction to salmon. Hives develop within a few minutes of consuming the salmon and may appear anywhere on your body. Most hives go away within a few days of eating salmon. If you have eczema, a chronic hypersensitivity of the skin, an allergic reaction can cause a flare-up. Eczema causes blisters to develop that are filled with liquid and are extremely itchy. General itching in your mouth, eyes and throughout your skin may also occur from a fish allergy. If you are clinically diagnosed with an allergy to salmon, avoid all seafood unless directed otherwise by your doctor. Touching salmon or being around the preparation of salmon may trigger skin rashes, such as contact dermatitis. When eating out, inform your server of your food allergy to salmon to ensure any hidden sources on the menu. Prepackaged foods that contain any fish ingredients are required by law to place an allergy warning near the listed ingredients. Avoid imitation seafood meat if you are diagnosed with a fish allergy. The Asthma and Allergy Foundation of America states that seafood-related allergies are one of the most common food allergens that leads to anaphylaxis, a severe allergic reaction. Symptoms of anaphylaxis include hives, facial, lip, throat or tongue swelling, mental confusion, lightheadedness and a sudden drop in blood pressure.